Led by noted Stanford Pain Psychologist Beth Darnall, professionals and clinicians of all disciplines and backgrounds who treat or represent individuals with pain are being urged to sign a letter to the U.S. Health and Human Services. The letter requests that the government caution against forced opioid tapering. Dr. Darnall testified in Oregon last week, criticizing that state’s plan to force taper the state’s Medicaid population from opioids. She and other health professionals have been telling Oregon officials in the past several months that the policy is wrong headed. She has been promoting the idea on Twitter this weekend and asks that the letter be signed by the end of the day Monday. It has been receiving brisk response. On Tuesday, the Pain Management Best Practices Inter-Agency Task Force will convene in Washington, D.C. The Task Force will receive presentations from three Task Force subcommittees established at the inaugural Task Force meeting. They will discuss recommendations for updates to best practices and recommendations for chronic and acute pain management and prescribing pain medication. The Task Force will also deliberate and vote on the draft Task Force recommendations. Pain Advocate Richard “Red” Lawhern is scheduled to testify during the 30 minute public comment period on Tuesday morning. He shared his comments with members of his Alliance for the Treatment of Intractable Pain over the weekend. If you would like to hear the meeting live, you can go this website. The meeting begins at 8:30 a.m. Eastern Time. The Task Force will meet for two days. By the way, an article in the October issue of Scientific American addresses the tapering issue – arguing that people can safely taper off opioids but it should done voluntarily and under medical supervision – not by governmental edict. Here’s a link to that article. 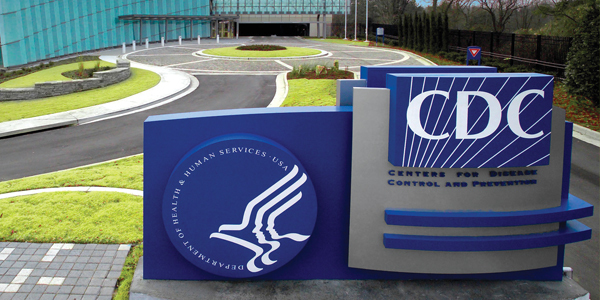 CDC Opioid Prescribing Guideline: Unintentional Consequences? I have been reading the replies, I got to Robert’s & I broke down completely. This is me & so many I knew. I was forced off morphine last year. I was left w/ my muscle relaxers which are the only ones I can take w/o horrible side effects. Last month they started a forced taper. The “reason” was the Dr doesn’t like to prescribe this & I’m the only one on it. My pain is totally out of control. They force me down to 1 pill in 2 days. It won’t help at all. NP at my primary doesn’t want to take up prescribing it. I’m in too much pain. I can barely get out of bed. I’ve left the house 2x in 2 months for Dr appts only. When I write my suicide note I’m telling my daughter to sue my Dr because I am going in there in 2 days & tell them I WILL kill myself if they don’t increase it to what it was. What happened to the patient bill of rights? Trump’s govt is forcing this to save insurance companies trillions & if we kill ourselves due to pain, then the govt will save on SSD, Veterans benefits & so many other programs disabled people use. They don’t care how many people will become unemployed in the healthcare industry & the related businesses. I will tell you one thing I’ll do before I am forced into the final option, I’M GOING TO VOTE BLUE. I would like to see republicans completely out of govt for everything they do to destroy the poor & elderly, now disabled. SCREW THEM!. I am a daughter, sister, mother, aunt, grandmother & friend. I want to die, I want to live, I’m waiting for my death sentence, I’m hoping for reprieve. I am a person in pain w/o relief. I guess this reply section is our epithet. I pray for you all, please pray for me. I’m crying my eyes out reading your post. How dare this government push us to make a decision to bring on our own death due to no proper medical treatment. Deep down I understand your thoughts and your motive and yet it angers me deeply. It angers me that we are being that controlled by our Gov’t and its’ cohorts. If my ‘mere’ meds were discontinued I too would fall into a very dark place of considering to end my life also. God help us!!! God help us!! I don’t know what to say to you at this point, other than I strongly understand you. I have gone a short while without meds and never ever do I want to feel that pain again. I could say ‘keep strong warrior’ or please don’t do it or hang on one day at a time but the solid truth is…when we are suffering like a hurt animal stuck in a hunters trap (and then some!!) we can’t help but want to die. We have no other choice. The fact is that Severe Pain (without medication) is life threatening in far too many ways. We have a brain and a body that cannot handle it. Five years ago my own mother (chronic pain) decided to and did exactly what you plan to do. It was devastating to us all. It was a very slow, sad death to witness. But we, her 8 children, had no choice in her decision. Believe me, we tried to help her. She was 66lbs when she passed. So, you see, without sharing the whole story here, I know what it is all about. In the end…as a CP person myself, as God awful as it was, I accepted her decision. She suffered so badly and became bedridden for 2 yrs prior to making her choice. The bottom line… Doctors were not good to her and therefore she gave up 100% in spite of the large family she had loving her immensely. I will be praying for you. I have hope that things won’t get to that point for you and me. I pray for us all. I feel like I live in a communistic country..
We were told that if we had been on these strong pain medications without a problem for years …. there woild be no forced tapering if ypu went to a pain management physician. That has not been the case for many of us! I saw my medication including my fentanyl patch reduced by one half in two months. I feel desperate at times; have went thru my medication that I had a few left of and am feeling more desperate! I am now having to move as I can nolonher even take care of myself! I have previously had a morphine pump. until tthe battery died# How anyone vam think this is OK … is because they do not suffer 24/7 like so many of us! After watching the video of the meeting, I think most people missed the point. The HERC group decided long ago that opiates were NOT a covered benefit for most chronic pain conditions. This meeting was to decide whether or not to ADD other non-covered services to the approved list of treatments for some chronic pain conditions. As the lead moderator stated, it’s now up to the CCO’s to decide whether or not they will pay for opiates. So basically your local organization, that was given millions of dollars to control health care spending, will decide what they will or won’t pay for. Umpqua Health Alliance, the CCO for Douglas County, decided back in 2013 that they WON’T pay for opiates. Now the rest of the state is just catching up and realizing that they DON’T have to pay for opiates and therefore they can save themselves millions of dollars a year. When they deny your pain medications, it’s all for financial reasons, not treatment reasons. They say “we don’t pay for that, but your doctor can still write for it if they want to, but you will have to pay for it out of your own pocket.” But guess what? They already know that the providers WON’T write for it, as many clinics taking the Oregon Health Plan have already made it their policy NOT to prescribe opiates. So the “forced” or “mandatory” taper that everyone has been worried about is technically already here. The state WILL NOT PAY for opiates for most chronic pain conditions. Most OHP doctors WILL NOT WRITE opiate prescriptions, so you will be taken off your pain medications one way or the other. It is now up to you to find a provider who is willing to prescribe your pain medications, but while you are on OHP you will have to pay for it yourself. Since all their so-called evidence shows no long-term benefit to opiates, it’s time to apply the research findings of many other issues too. Many arthroscopic knee surgeries have been found NOT to have any long-term benefits, so let’s cut off the payments for all these procedures. Watch how fast the orthopedic doctors rise up against that! Plenty of other surgeries that are commonly done should also NOT be paid for when you follow those same arguments. My Regular Doctor told me he wasn’t able to prescribe my Pain meds anymore and that I had to go to a pain doctor. I’d been to several pain doctors for over 20 years for Chronic Pain. He recommended a doctor that regrettably had a plan to adhere to the recommended dose of 90 mg of morphine based drugs. The first time I saw him he reduced my medication by 25%. I was in shock. He performed for my husband and me about how he could heal with his hands and showed us his “private website” of healing. It was all BS. The next month his PA reduced me 25%more. I was going into withdrawals. Needless to say; his rules were to save him time and money and doesn’t care about the patients needs. He put everyone in to the same box. This is inhuman. My quality of life has gone downhill quickly. I’m in bed most of the time again. This is so wrong. I know there are people much worse off then me and I cringe knowing what they’re going through. I really don’t understand any of this. Don’t the people who instigated this know what excruciating pain is? Probably Not. This is going to make the Drug Dealers even richer. People will do what they have to. My wife committed suicide because they took her off pain medicine, she had no quality of life and suffered in complete agony every second of the day. It’s been a year since she has passed. If they do the same with me I will be committing suicide too. I barely have quality of life as it is, and with no medication or help I will be bed bound 22 hours out of the day. It’s like they want people who do the right thing to suffer because other people abuse the system. It’s not fair. I’m still unsure what “they” think happens to our pain when they take away pain medicine – do they think it magically disappears? And what are our options for controlling our pain once they decide force tapering is a good idea? Exactly what they’ve been all along – either premature death or finding “someone” who can provide us with pain relief in whatever way it can be done. For many of us, “sucking it up” just isn’t an option. If it were, we’d already be doing that. Please dear Lord, LET LOGIC PREVAIL! Many thanks to Red Lawhern for testifying on behalf of the chronic pain community and Oregon/Medicaid opioid patients. 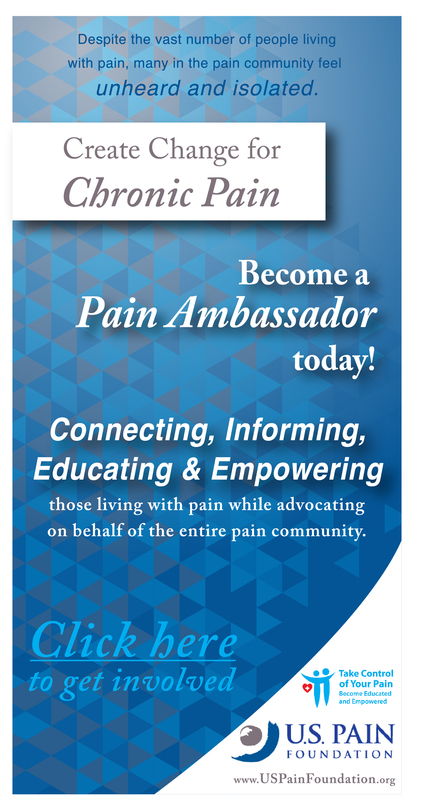 His work is priceless and invaluable to the chronic pain community. I found myself wondering as I sat thru the Oregon task farce’s meeting on Thursday (and their expressions while Dr Darnall spoke were priceless); do these “just change your attitude & that fake pain will go away” people think the same about clinical depression? Shall we go back to the days of “just snap out of it” & “pull yourself up by your bootstraps, you mentally lazy person?” Antidepressants have many of the problems they claim about pain meds: they only work on a relatively small percentage of patients, the source of the “problem” is poorly understood, they have very bad side effects, and they create severe physical dependency to the point that people going off them can have savage withdrawal symptoms. Severely depressed people are actually more likely to commit suicide when first starting them, so they are very dangerous in several ways. Surely all that is needed to cure depression is for those slothful people to change their attitudes, get up off their butts & exercise, see a counselor, maybe go for an acupuncture or CBT session. Problem solved, right? (for those about to go medieval on my carcass, this is sarcasm. I have suffered from clinical depression myself, & tried pretty much every anti-depressant ever created. With horrific side effects. And I nearly died when some ignorant excuse for a doctor refused to prescribe enough low-dose Prozac to allow me to taper off –that physical dependence issue that the Oregon task farce is so insistent is indistinguishable from addiction). Most cannot get by on 200, 100, 90 or 0. For some dead is dead.Maybe it will help a hang nail paitent but for intractable painents, In short they are KILLING US!!! I have been forced off my meds to zilch! I have no quality of life! This has ruined alot of pain pts lives nd forced them to suffer above nd byond! So much for drs being able to make an lredi miserable life,worse! Stop punishing innocent ppl! This forced tapering for Medi Cal patients is beginning in October in California. My doctor just had the talk with me. She is applying for the TAR for me. So each month we will have to show need of continued use of pain medication. I am writing my timeline of pain and injury. I remain somewhat hopeful. All of this is taking so much time and I’m trying to hang in there. Years ago I had a doctor who was prescribing, Morphine Sulfate ER 15mg 6× daily, plus a Fentynal Patch for my Chronic Pain that was a result of a freeway car accident. I was on this regiment for 2 1/2 to 3 years. I tapper down and off of all that medication because I couldn’t function well and I wanted to see where my pain level was at. I stayed off the Opioids for 6mo. still in pain. Even with tappering down, the withdrawls were horrendous. I went back to my doctor and with her help found a good regiment of Morphine Sulfate ER 15mg. 2× daily. Now I have been forced to 1/2 of my medication. The Government and these Doctors who are against Opioids have made life very close to unbareable again. I know there is always a permanent solution to all of this pain and I think often about it. One thing I have learned from all of this is I no longer want to rely on any mercy, compassion or even caring from the Medical Profession, it’s too sporatic. I’m sure what will be a controversial decision. I understand that many will say that what I may wind up doing is wrong however I feel God is with me and thats all that matters. I fully expect that all the decisions being declared this week at the Pain Conference have already been decided. I feel there is a terrible ulterior motive behind it all and that is to decrease the amount of elderly patients on the Social Security rolls. We all know that if they do what they INTEND to do, we will slowly and painfully die. I will choose a different path. If my doctor is forced to take away my pain medication, I will no longer be able to get out of bed. I will no longer be able to sit in a chair and watch my young grandchildren play in the yard. (This brings me great joy and comfort when the pain is out of control) When my family visits, all they will see is a man in agony, laying in bed sobbing. I WILL NOT PUT THEM THROUGH THIS !!! I must ask would the government withold a cancer patient’s chemotherapy ? Would they withold a heart patients medications ? A diabetics insulin? NEVER ! I want you all to know that I LOVE LIFE. I simply adore my family and this is the hardest decision I’ve ever had to make. The day they begin to taper my medication to zero, I will kiss my family goodbye. Say my longest prayer to God asking for forgiveness, and I will begin my journey to heaven much quicker than our government could have ever hoped for. It will not be violent. It will not be painfull. After carefull research I’ve decided to never eat another morsel of food nor drink another sip of water. It should take at the most, a few weeks. God bess all of you, my brothers and sisters in retractable pain. May God have mercy on us all. May God have mercy on America, the last bastion of truth and justice. GIVE US YOUR TIRED, YOUR POOR. THOSE YEARNING TO BE FREE. Just don’t give us those in retractable pain … for we don’t want them. Pray to God some miracle happens to change their minds. God bless you all. Pray for me. Pain is dynamic that is, it is in a constant state of flux if you will. It is not sound medical practice to force the practice of pain management into a rigid and inflexible methodology. Iv’e been detoxed by my area doctors 4 times and suffer more now . I am being force tapered, this month they cut my oxycodone dosage by 25%. There is no guarantee they won’t force me to go all of the way off of them. I have neuropathy. Anyone who has it can tell that it never goes away, and only gets worse. Very sad. I am beginning to see the end of my life at 57. Cruel. Im already in more pain, much more raw. Just shooting someone is more humane. A very large thank you to Dr. Lawhern. As we all very well know by now, it is our government that has and is continuing to force our doctor’s to taper all of the chronic pain patients down to a point that is barely tolerable or off of our life-saving medication all together. Prayers for miracles in Oregon as well as the rest of the United States. ?? ?no link??? Could you please let us know “this website”? !